The 34th Annual United States Association for Small Business and Entrepreneurship (USASBE) Conference, was held in St. Pete Beach, Florida in January 23- 27. A U.S. affiliate of the International Council for Small Business (ICSB), USASBE has a social interest group dedicated to international entrepreneurship. The conference program included two competitive research paper sessions and one emerging research paper session under the topic of international entrepreneurship. There were a number of additional international entrepreneurship papers incorporated in a variety of paper sessions. 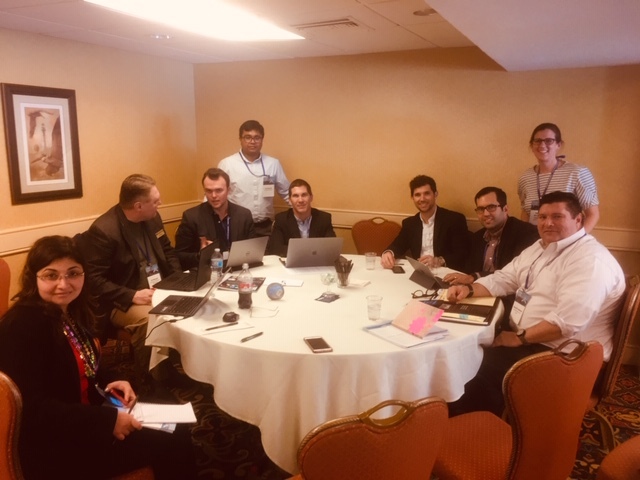 International entrepreneurship papers at the USASBE conference included topics such as corruption, formal and informal institutions, and firm performance. The “Meet the Editors” session was extremely popular with twelve journal editors including Lois Shelton (International Journal of Entrepreneurship Behavior Research), Zoltan Acs (Small Business Economics), and Candida Brush (Entrepreneurship Theory & Practice). IE-scholars thanks IE Ambassador for US, Marleen McCormick Pritchard, for the above contribution and the photo below taken at the international emerging research paper session.